Distinctive styling and elegant lines come together to form a complete range of modern classics in the Sheffield Bathroom Vanity collection. Inspired by well established American standards and crafted without compromise, these vanities are designed to complement any decor, from traditional to minimalist modern. Constructed of environmentally friendly, zero emissions solid wood, engineered to prevent warping and last a lifetime. 12-stage wood preparation, sanding, painting and hand-finishing process. Highly water-resistant low V.O.C. sealed finish. Beautiful transitional styling that compliments any bathroom. Practical Floor-Standing Design. Minimal assembly required. Deep Doweled Drawers. Fully-extending under-mount soft-close drawer slides. Concealed soft-close door hinges. Metal exterior hardware with brushed chrome finish. Plenty of storage space. Four (4) functional doors. Five (5) functional drawers. Faucet(s) not included. Counter not included. Medicine Cabinet Mirrors Included. Sink(s) Not Included. 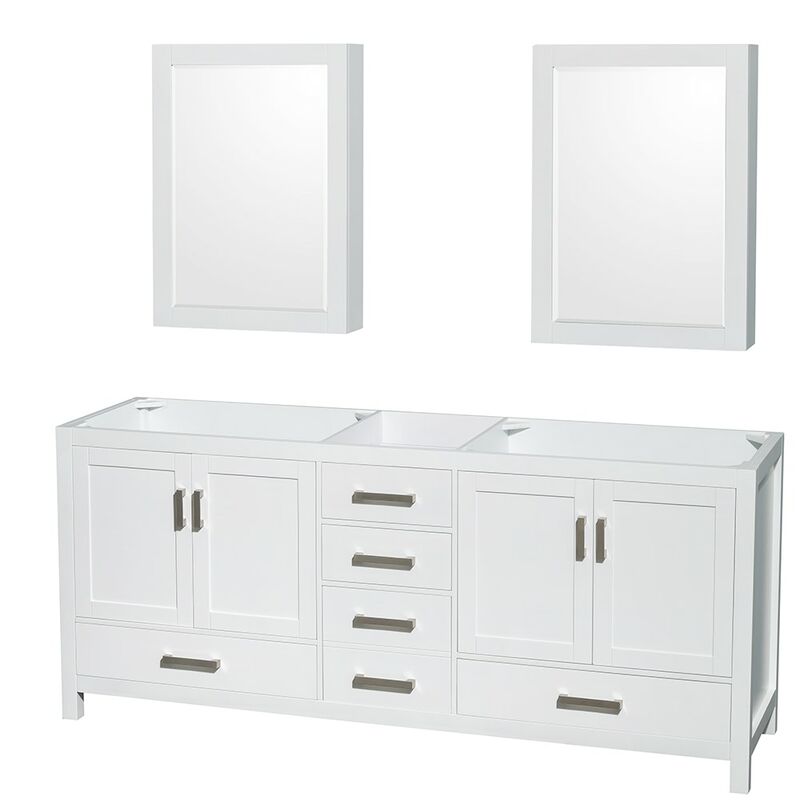 Vanity: 78.5" x 21.5" x 34.25"; Mirror: 24" x 6.25" x 33"